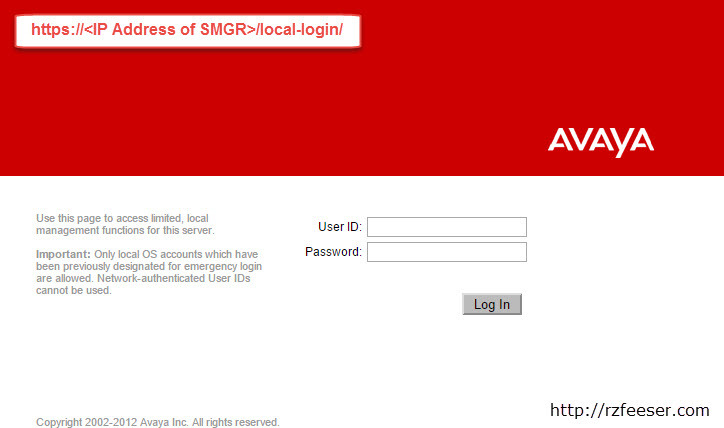 Working with the Avaya Aura System Manager (SMGR), you will eventually find yourself locked out of the web GUI. This most commonly happens if a password times out, and the ‘new’ password change goes unrecorded. 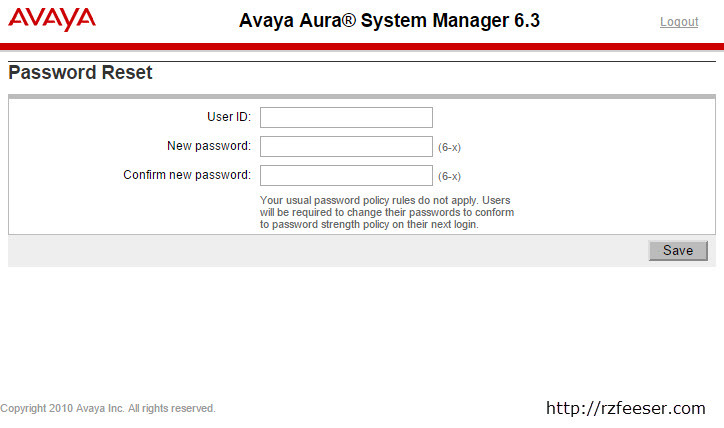 The following steps will outline how to reset the admin password for Avaya Aura System Manager web GUI. These steps were used in conjunction with Avaya Aura System Manager version 6.3.10.2657 (deployed from System Manager Mid-Size Enterprise 6.2.2 template with SP4). See the end of this posting for any other software (and corresponding versions) used in conjunction with these steps. I’m certainly they’ll work with other versions, but I can only attest to having tested on my system. Interested in Avaya Aura Session Manager & SIP trunking training? 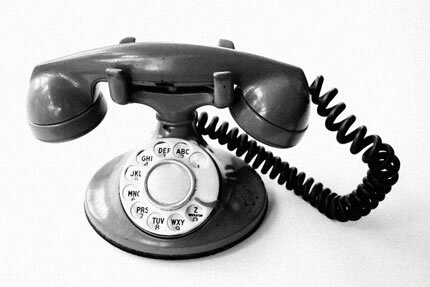 I teach a great class on Avaya Aura Session Manager & SIP trunking. Learn how to sequence applications. Learn to route by domain, instead of digit patterns. Dive deep into Wireshark traces (I’ll even teach you to use Wireshark if you’re new to the utility). It’s a hands on class that has both private & public offerings, both onsite and online. If you’re interested, click here to send me a message using my website.